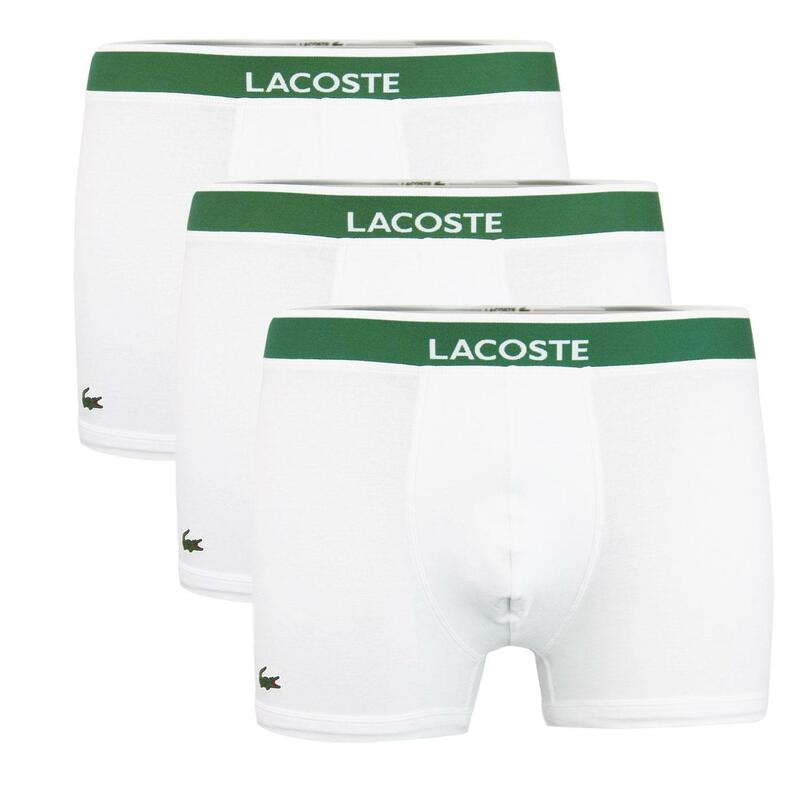 Lacoste 3 pack cotton stretch trunks in classic white. Lacoste Loungewear offers style and comfort with it's clean look, classic style and iconic Crocodile signature. This 3 pack of cotton stretch trunks (boxer shorts) come in a neat presentation box and undoubtedly makes for a great mod gift idea. The trunks feature Lacoste signature waistband with retro tipping and contoured front pouch. The instantly recognisable Lacoste Crocodile motif features on the lower right side at front. 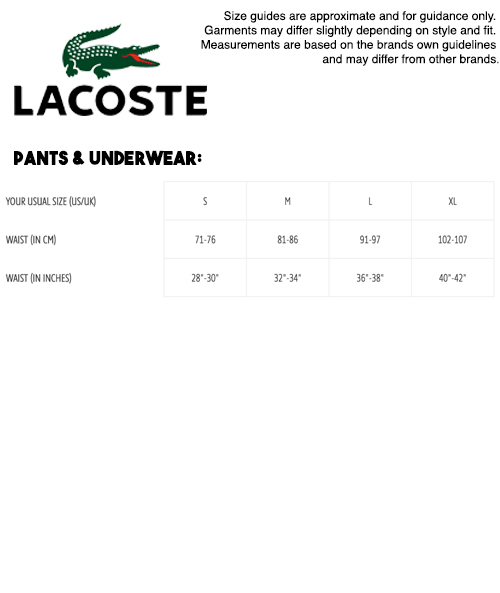 The last word in luxury men's loungewear and underwear - LACOSTE. - SKU: 156047-100 3 Pack Boxed Trunks.